Ok enough bantering for now. Today, I will be discussing about another favorite product from the blisscovered January box 2012. 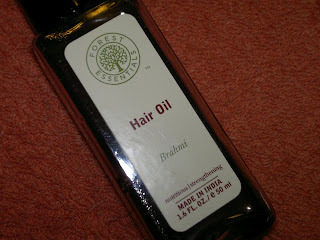 It is the Forest Essential Brahmi Hair Oil. Though, I found it to be least interesting when I opened my box, it has slowly found crawled into my heart. So, after using it diligently for past two weeks I am ready to share the review with you people today. Price: INR 675 for 200 ml of the product. I got a 50 ml bottle in my blisscovered box (shown here). The packaging of the product is quiet nice, classy, and functional. Comes in a see through plastic bottle with a cap. 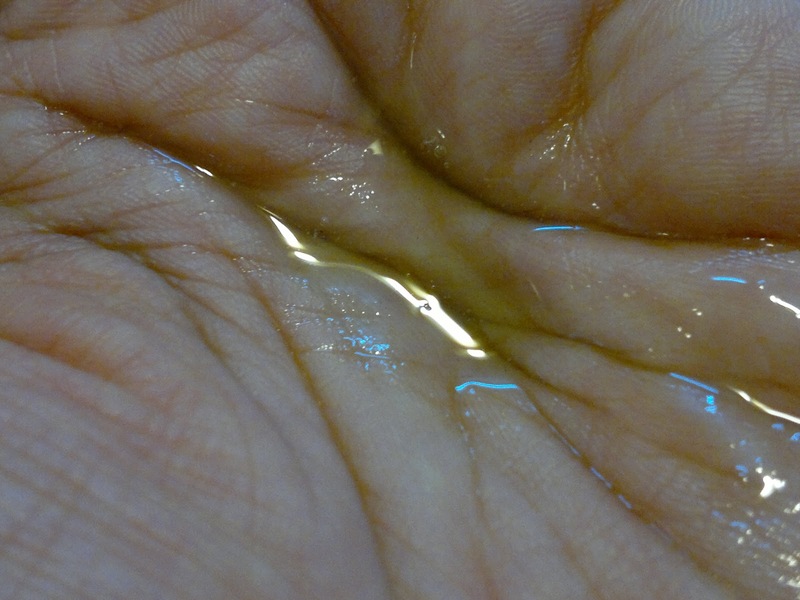 The oil is green in colour with a distinctive but mild fragrance. At first I could not pin-point it but then I got it. 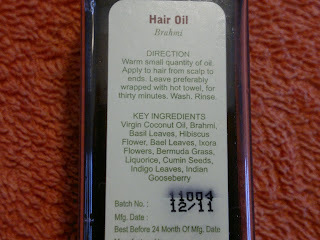 It is very mild like purest pure coconut oil, which is one of the important ingredients of this oil. My experience with this oil has been very good. The hair oil is very light but at the same time nourishing and hydrating for my hair. With regular usage for the past two weeks, I have noticed that my hair growth has improved and hair fall has reduced!!! I am no longer shying away from hair oiling sessions, as earlier oiling sessions used to result in lot of hair fall after hair wash. This oil has changed all that. Also, I have noticed that my hair are shinier and full of life than before. Now, I am oiling my hair before every wash that is alternate day of the week. Product rating: A. Would highly recommend this hair oil to everyone. Available at all Forest Essentials store and online (via Forest Essentials and blisscovered website). 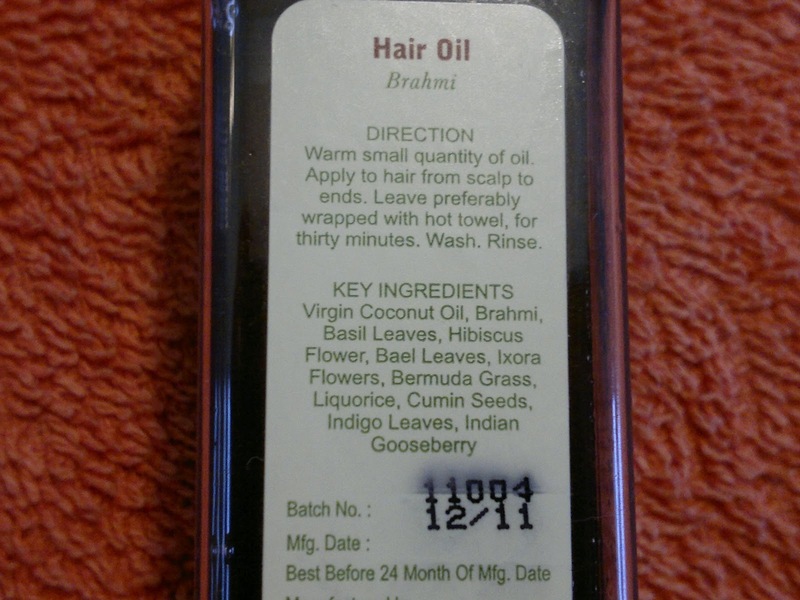 ya me too discovered that VCO is the best for ur hair..
Hi anonymous, usually CO doesn't suit my hair, but this combination of VCO with brahmi has had really good effects on my hair.